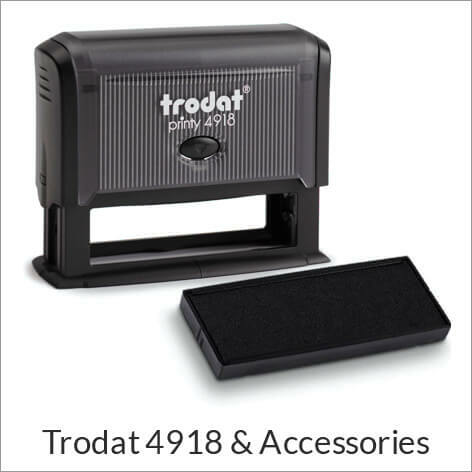 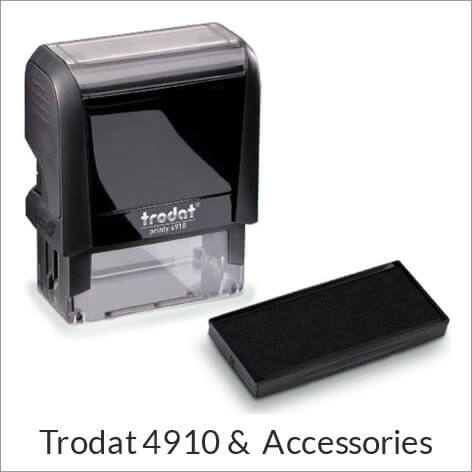 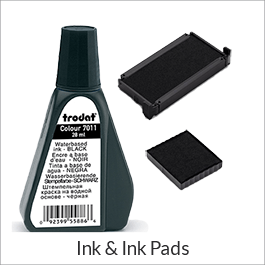 Create and purchase your own self-inking Trodat Printy stamps. 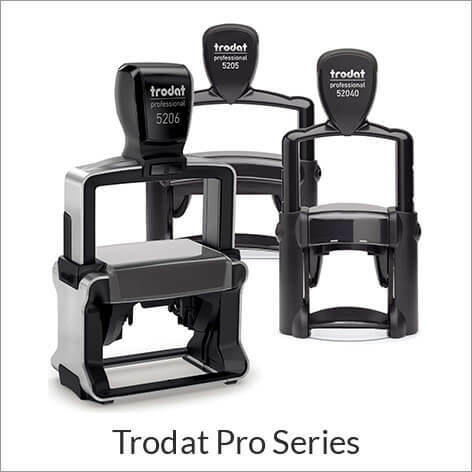 We carry the most common Trodat Printy models and make them available to customize in assorted ink colors, typesetting choices, and in any quantity. 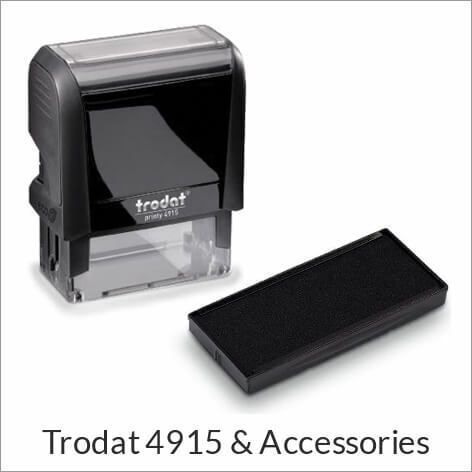 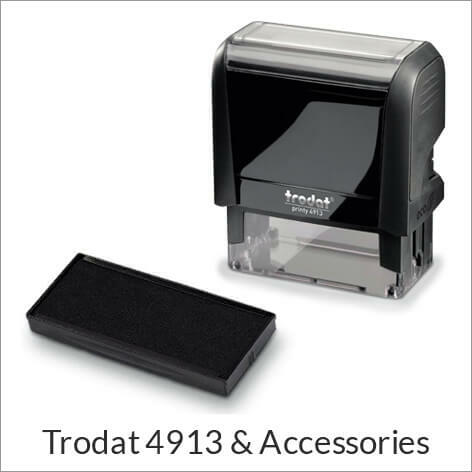 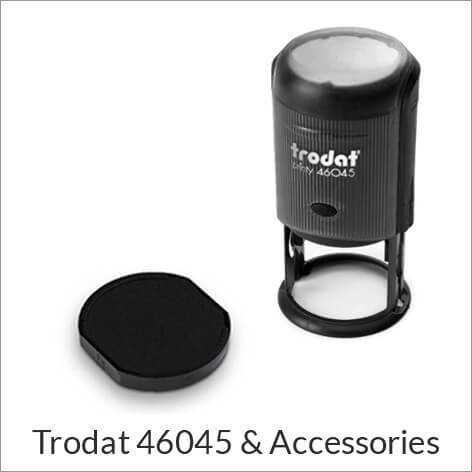 Find out how easy it is to create your stamp when you take a glimpse at the Trodat 4912! 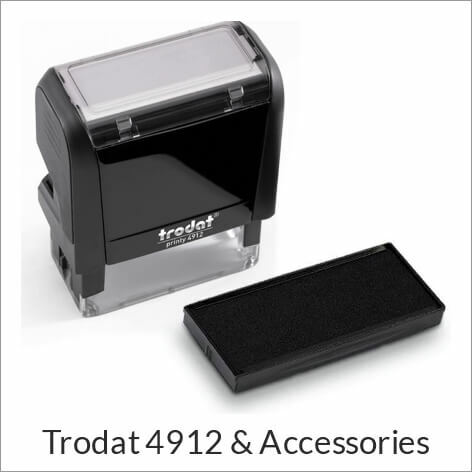 All Trodat stamps are made to order and are guaranteed quality. 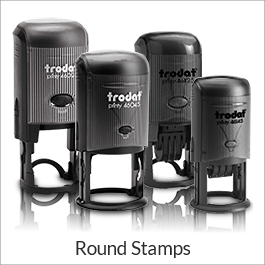 Trodat has been custom manufacturing rubber stamp machines since 1912. 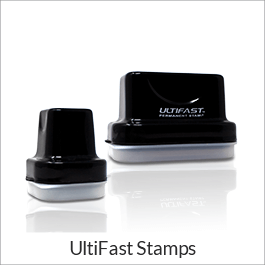 Today they are a world leader in the industry, selling tens of millions of stampers annually. 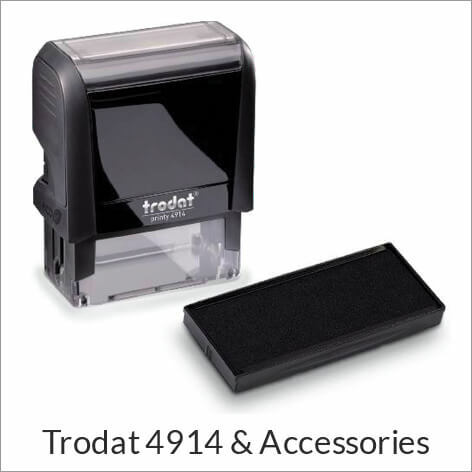 Trodat has continually proven themselves to be innovative, both in design and in their environmentally friendly policies. 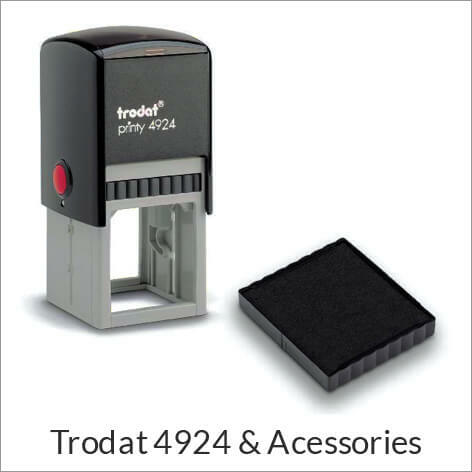 For other models of Trodat stamps not listed, please make a special request - it's likely we'll still be able to assist you. 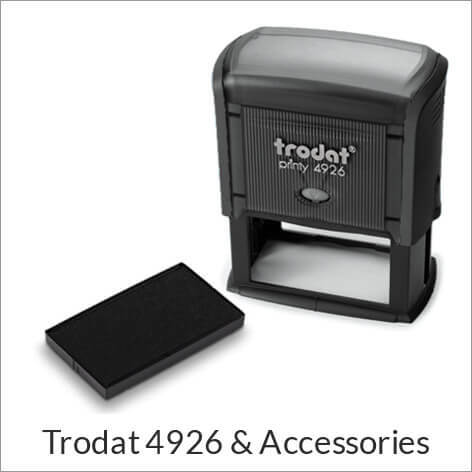 Most of our orders ship on Trodat brand stamps, especially rectangle stamps. 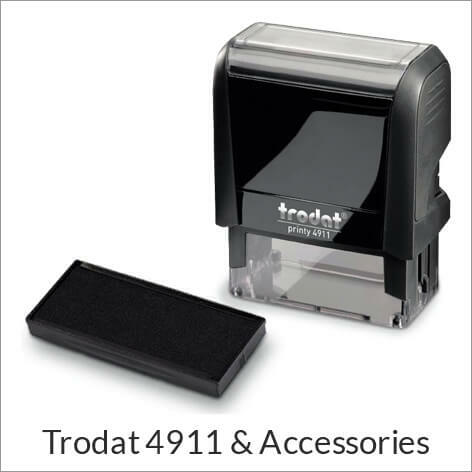 Looking for an address stamp design? 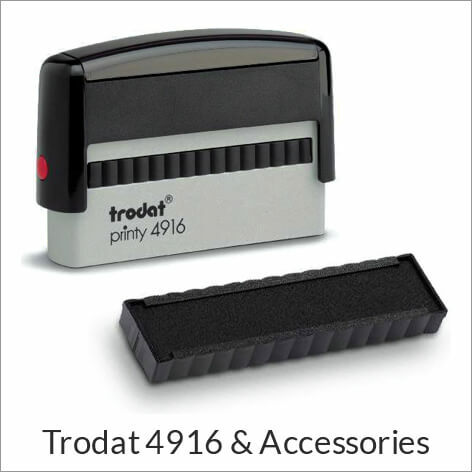 View our extensive list of personalized address stamps. 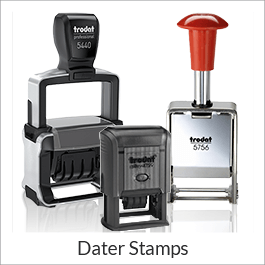 The brand has a long history of great stamp products. 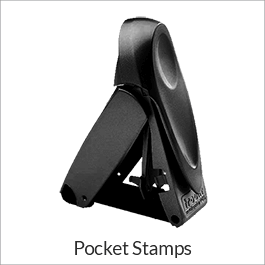 In 2009 the brand was purchased by global stamp manufacturer . 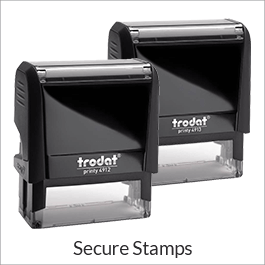 The Ideal stamp models were then combined with the same size models in Trodat's line & updated to a newer body style featuring a carbon-neutral process. 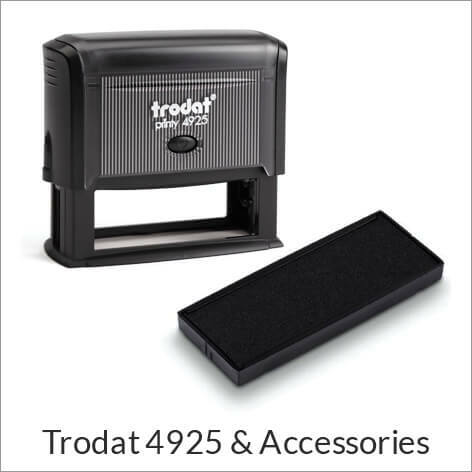 Producing stamps in this environmentally conscious way, now all models Trodat Printy/Ideal stamp models are made with up to 65% recycled plastics. 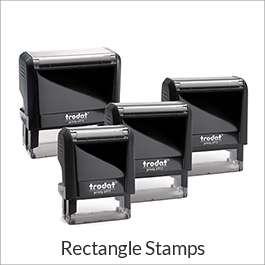 The names of each stamp model has adjusted slightly over time but the size of the impression remains the same.